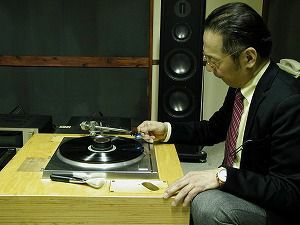 DS Audio has perfected the legendry technology of optical cartridge. It is One and only one “Optical Cartridge” in the world. 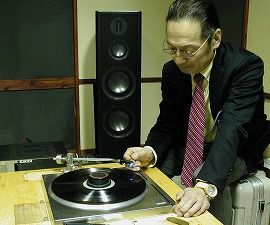 Optical Cartridges were introduced by major Japanese companies in 1960s. Many of us felt that this technology could be one of the main stream of Audio markets. However, this was a short life product and faded away quickly. You can imagine that even leading makers could not ensure the sufficient accuracy required in the technology at the time. 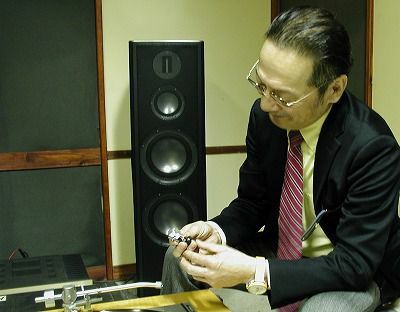 In Dec. 2013,Optical Cartridge DS001 was announced by DS Audio in Japan. optics technology in the professional market since 1986. Their expertise in optics and years of experience in the laser technology made it possible to revive this legendary cartridge with their advanced optics and extreme accurate design. The principle of optical cartridge is to detect Stylus vibration by a beam of light, unlike conventional cartridges which are based on electromagnetic induction. clearly low, especially silent groove section and very low level sound. natural reverberation of the hall. I would like to emphasize that there is no unnatural sound in its sound. Very favorable. frequency range. Attack sound of the kick drum in contemporary Jazz is clear and smooth. Those of who are used to listen to massively emphasized bass sound may feel weak at first. However, it is the high quality fidelity DS001 provides. where no coils and magnets are applied. In the mid to high frequency range, it provides natural energy balance without any coloring of the sound. Vocal is coming out naturally and Strings with delicacy in high level fidelity. DS001 does not choose music category. 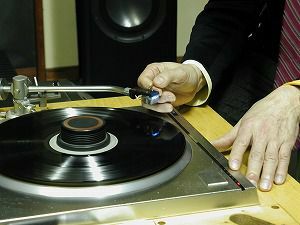 It plays back recorded tracks accurately with high precision. It brings you one step closer to the mastersound source.